Hunger Is, a joint charitable program of the Albertsons Companies Foundation and the Entertainment Industry Foundation (EIF), has been working with community-based organizations across the U.S. and national partners, like WhyHunger, to help end childhood hunger by investing in nutritious breakfast for every child! They helped fuel innovative programs to provide 6.4 million healthy breakfasts to over 200,000 kids. The Northern Illinois Food Bank serves more than 71,500 people across thirteen counties of Northern Illinois. The Food Bank was seeking ways to combat diet-related disease, reach more people with healthy food and reach them at the right times even before that study. In 2008, the Food Bank began a BackPack program, which now distributes a variety of shelf-stable foods each week to students in more than 180 schools during the school year. The BackPack program aims to fill the meal gap for children at risk of hunger at times when they are not in school, such as evenings and weekends. The BackPack program is simple: Food Bank staff and volunteers pack a variety of shelf-stable products – whole grain rice, cereals and pasta, milk, canned chicken or tuna, canned fruit and veggies – into rolling backpacks which are delivered to the 180+ schools each week. At the end of each week, each eligible student picks up their backpack and takes it home for the weekend, returning it Monday morning to be refilled later that week for the coming weekend. 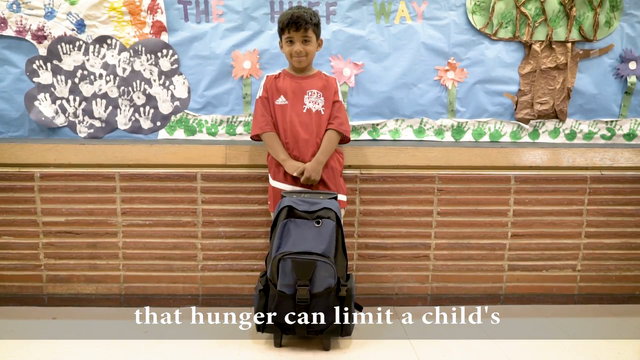 Read more about the Backpack program on Why Hunger.